The Sarutahiko-no-kami. 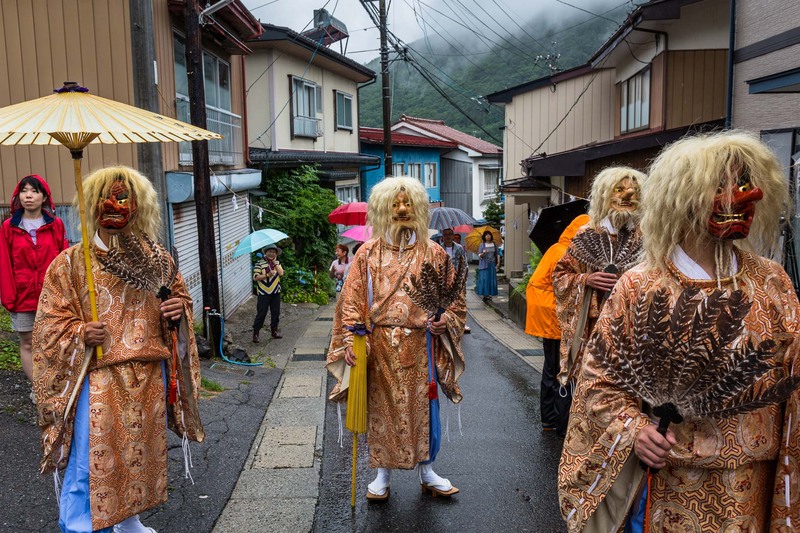 the role of these Kami - Divinities - are to guide the Mikoshi during the Summer Festival parade through the village of Kiso Mura. These Kami represent western people with big noses, eyes, red and white faces, and blond hair, Japan.